You'd be surprised (or not) how stuff piles up on you when you're busy. 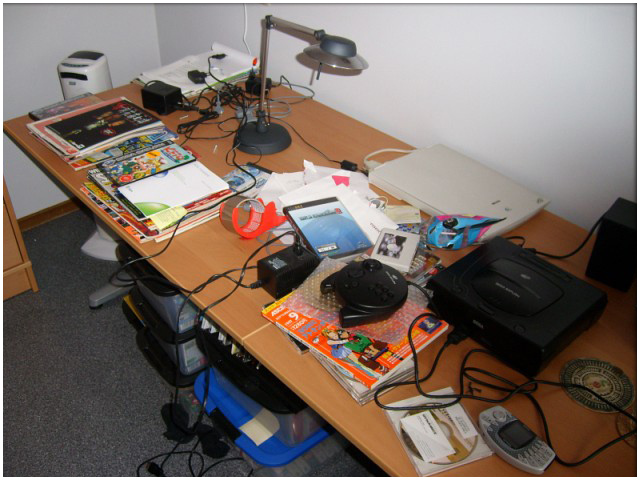 Check out of a monthly comparision on the world's most famous SEGA desk and have hours of "fun" trying to figure out what the hell it all is. Yeah!